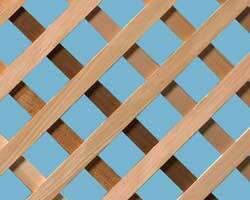 Regular lattice thickness measures nominal 1/2" at lath intersections, while Heavy Duty lattice measures nominal 1". 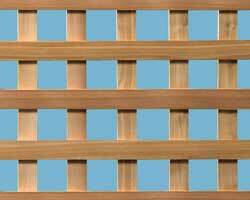 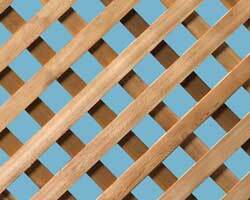 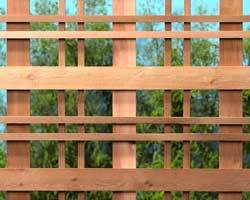 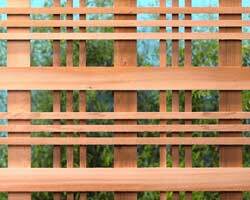 Woodway Lattice is the only commercial lattice produced based on the Western Wood Products Association Lath Grading Rules. 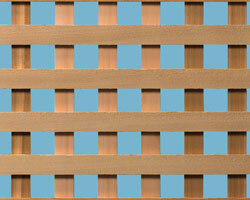 Custom panel sizes, spacing, specie and thicknesses are available by special order.